Click a picture to choose a category below. Click arrow on right for more. 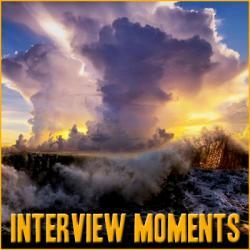 INTERVIEW MOMENTS are some of our favorite Mental Moments from some of our Favorite Interviews, plucked from some of our very best shows, so you can get personal looks at some of the most fascinating people in the world.